Hankering for some humboldt fog? Then have we got news for you—WPI’s got a Cheese Club, and it’s bettah than cheddah. The club meets bi-weekly, and each meeting follows a similar format. 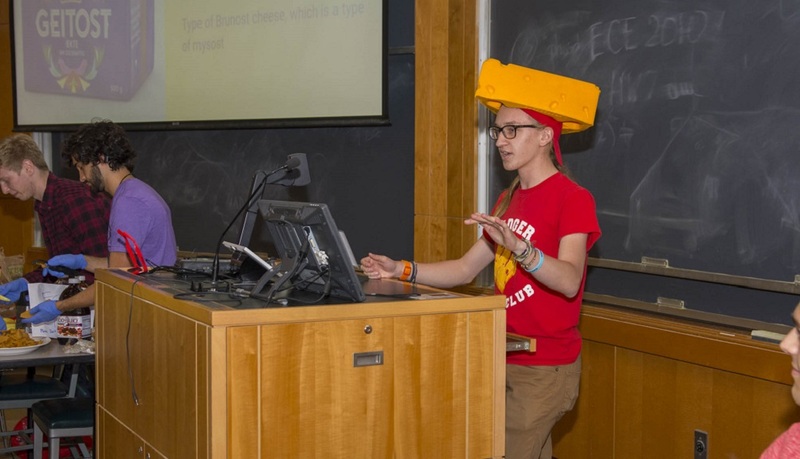 After Trey-Masters introduces everyone, a quick icebreaker is played before a presentation is given on that week’s cheese (or cheese-related item, such as grilled cheese, mac and cheese, quesadillas, or cheesecake); then attendees are invited to make cheese-themed crafts. If that all sounds like the best thing since sliced bread (or in this case, cheese), well, you’d be right. Trey-Masters’s first favorite cheese is parmesan, hearkening back to his childhood, but if he’s being honest, he finds a new favorite every week. His current favorites, juustoleipa and gjetost, were served at past Cheese Club meetings. Fellow cheese enthusiasts can check out the Cheese Club to connect with fellow turophiles, or email the club for more information on the next meeting—it’s guaranteed to brie a good time.